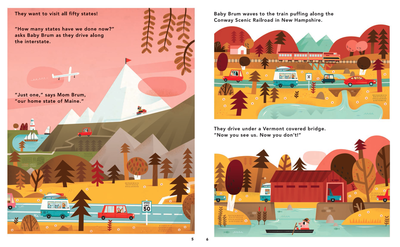 Hop aboard for the trip of a lifetime, as the Brum family travel from Maine to Alaska -– and beyond! 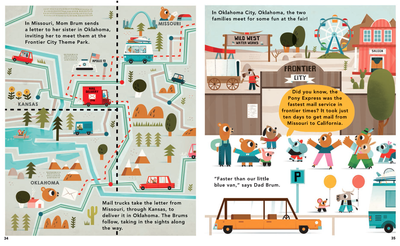 The family of friendly animals set off in a camper, but during a series of stops and escapades also use a variety of different vehicles that include metro systems, planes and paddle steamers. 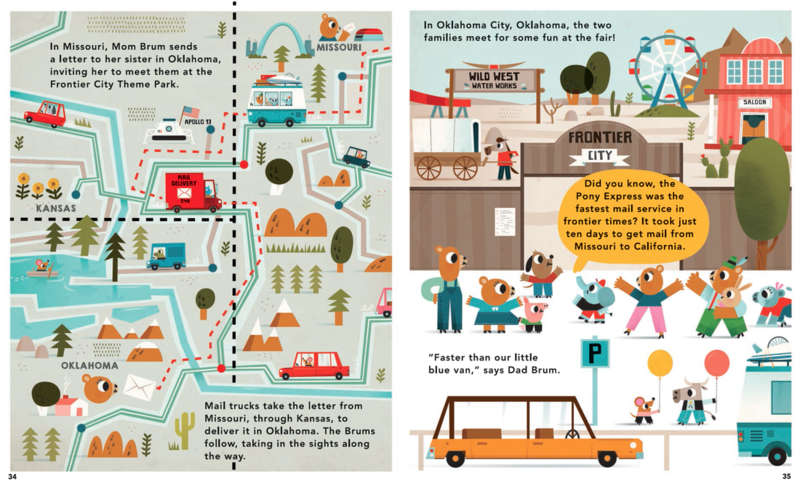 Combining the popularity of maps and city books with a love of vehicles, the book will appeal to budding geographers and vehicles fans alike.